In the countryside surrounding Kyrgyzstan’s capital Bishkek, lots of towns and villages in valleys have notably Slavic names while Kyrgyz-sounding settlements dot the hills and mountains. Such were the divisions in 1916, an important but challenging date for authorities in Bishkek and Moscow. It is also a complicated topic these days at thousands of schools in Kyrgyzstan. Over the past year, historians and politicians in Kyrgyzstan have been recalling the events of 1916, when an estimated 100,000 or more Kyrgyz died during an uprising sparked by the Russian Empire’s attempts to mobilize the Muslim population for service on the Eastern Front during World War I. There is paucity of research on those events, particularly on the Kyrgyz side, but that has not prevented local historians from asserting that the Urkun, or the Great Flight, was the climax of a failed liberation movement. Vexingly for Russia and educators teaching ethnically mixed classes, the lack of scholarly research has also enabled some public figures to characterize the 1916 events as a genocide carried out by Tsarist forces. “A people’s gathering has pronounced the national tragedy Urkun a genocide,” garrulous opposition figure Azimbek Beknazarov declared in mid-August. Beknazarov is, among other things, a member of a public commission that has been reviewing the history of the Urkun in parallel to a state body approved by President Almazbek Atambayev. “The commission has informed society, the government and the presidents of Russia, Kazakhstan, Tajikistan, Uzbekistan and Turkey,” Beknazarov said. This topic has been a part of the history syllabus in Kyrgyzstani schools since the country gained independence in 1991. Soviet-era textbooks pointedly ignored the Urkun. 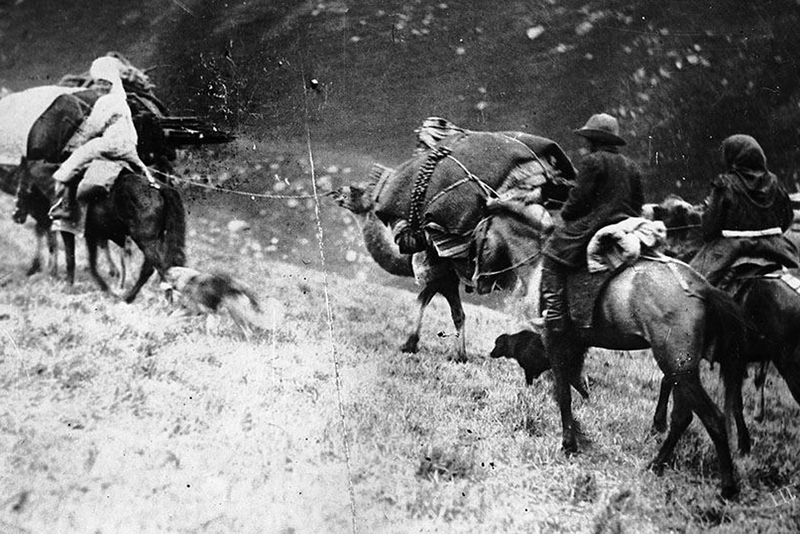 Such oversights may be less possible now that interest in the Urkun — so called because of the perilous and, in many cases, lethal journey made by fleeing ethnic Kyrgyz over the passes into China to escape Tsarist repressions — has surged with the arrival of the centenary. A trailer for a film on the uprising that is to be released imminently has already gathered thousands of views on YouTube, and members of the government-appointed commission are set to hold a conference to discuss their findings in October. While skeletal remains and Russian archival evidence point to a brutal repression of the Kyrgyz uprising – one facet of broader unrest across Central Asia – other issues are under dispute. One is the extent to which outside interference may have stirred unrest. The events occurred in the latter stages of what is popularly known as the Great Game — a jostle for influence in middle Asia that pitted Russia and Britain against one another — and at a time when a fascination with Ottoman-inspired Pan-Turkism was sweeping across the region. Another is the role of the manaps, fractious Kyrgyz tribal leaders who local historians now herald as national revolutionaries, but who were depicted by Soviet academics as reactionary feudal chieftains. “Not enough is known about these manaps other than the fact that they fought with each other quite a lot. Did they accelerate the tragedy? Did they receive orders from abroad? It is all possible,” says Talant Jumabayev, a writer for Kyrgyz television, who has authored scripts for history programs. “Our modern-day manaps certainly have a lot to gain from their interpretation as heroes,” Jumabayev quipped. Historians, in turn, see a clear Russia-driven agenda in muddying the narrative of 1916 – a perception Russia itself has done little to quash. In 2009, Russian academics released the findings of a state-backed review of 187 school textbooks in 12 ex-Soviet countries. The academics concluded that Russia was portrayed negatively, and with what they viewed as significant biases, by textbooks across the region, except in Armenia and Belarus. In Kyrgyzstan, the target of Russian rage was Murat Imankulov, author of History of Kyrgyzstan in the 20th Century, a textbook published in 2004 and translated into Russian in 2006, which is still studied by students in the ninth grade. “I didn’t call it a genocide but wrote [in the textbook] that the Kyrgyz who fled did so to escape [a potential] genocide,” Imankulov explained. After making attempts two years ago to fund alternative studies of the events of 1916, Russia now seems publicly to accept Kyrgyzstan’s right to trawl through the vicissitudes of their shared colonial history. Tynchtykbek Chorotegin, a historian, who, like Imankulov, sits on the Kyrgyz government’s historical commission, noted “unqualified” support from Russia’s ambassador for the commission’s work, as well as cooperation from the Moscow’s archival authorities in a conversation with EurasiaNet.org. But for some ethnic Slavs in Bishkek, the prospect of the Urkun taking on a greater role in public life, especially in the classroom, where historians are lobbying for more lessons on Kyrgyz history, is very troubling. “When I go to Almaty [in neighboring Kazakhstan], I see lots of mixed Kazakh and Russian couples and there are no problems, but it isn’t like that here. In the last decade or so, there is so much nationalism,” said Russian-speaking Tamara Tikhonova, 35, a mother to a seven-year-old boy. “When they teach this Urkun, will they also talk about what Kyrgyz fighters did to Russian settlers, Russian women? Or will it just be ‘Russia is evil’? This is something that bothers me a lot,” she told EurasiaNet.org.